Industrial archaeology is the study of early industrial buildings and machinery, particularly of the eighteenth and nineteenth centuries. When this book was originally published in 1963, this was becoming a topic of lively interest and controversy among archaeologists, historians, architects and engineers. This book discusses the aims and methods of the science, giving examples of the contribution which different kinds of specialists can make. 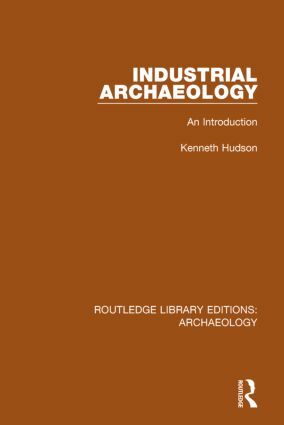 This shows a fascinating slice of the history of the discipline of archaeology as well as offering insights into industrial archaeology when the term was first being used. As the first text on the subject, this book also lead to the start of the industrial archaeology movement in the USA.